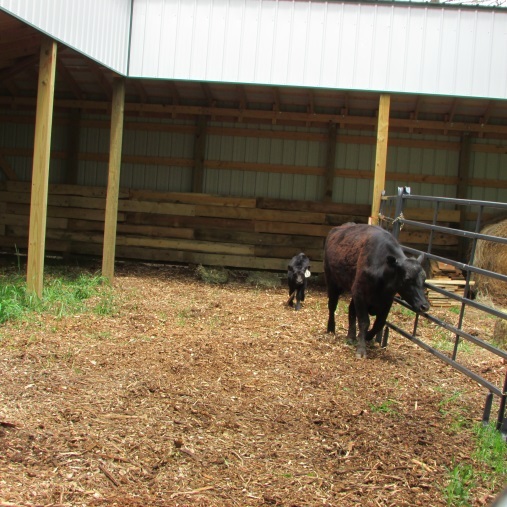 Recently, while preparing to move our cows and their small newborn calves to some grazing acres for the summer, we placed them on some temporary pasture as a staging area for their move into Wyoming. 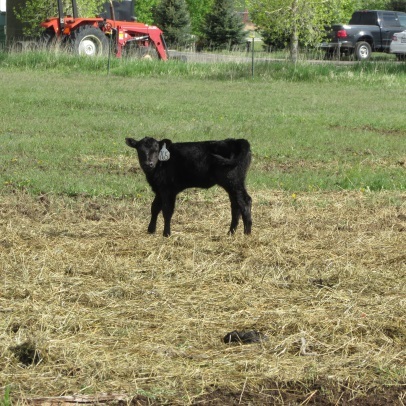 The first night on the new pasture, one baby calf came up with a very disturbing limp. She was in pain. We brought in the neighbor who is a professional roper and new veterinarian to take a look. Her hoof was marred up like she cut it on something sharp, but no puncture wounds could be found. The swelling was evident. We decided to watch her for a couple days. It didn’t get any better, but it didn’t get any worse. Then the next day, we roped her to take one more look and found her ear had a bite out of it. The night before, one neighbor saw coyotes circling the herd. The predators always go after the weakest, first. I remembered at that point of a time I watched a moving of the Great Serengeti, and the wildebeest’s making their way across the plains to their feeding grounds. The slower and smaller ones were taken by lions and alligators; it was such a sad movie. 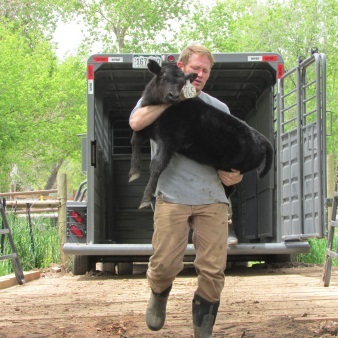 We immediately decided that there didn’t need to be a sad ending to calf #765. We gathered her up and took her to our private paddocks, she and her mom; where she would be protected from predators and given a fighting chance to survive and thrive. The cow herds will gather to protect the little ones and each other from predators, but when the slow moving or injured can’t make it inside the circle, it doesn’t matter. Sometimes the protection of the herd is not enough. So it is with people. There is strength in numbers, and when we associate with like-minded folks, we are given strength and protection that is bigger than ourselves. There are times however that we need a little more. We need the one on one watchful care that can take our wounded souls and make them whole again. It may be a parent, a mentor, a faith leader, someone who really does care enough to give us time and space. We may be the rescuer from time to time as well. You might not believe what is in our compost pile; from rabbit, horse and cow droppings to the remains of chickens, vegies, weathered grass, hay, cardboard, food, etc. Over the months, this pile of materials, often referred to in more colorful terms, decays, smolders, smells and acts like not much is happening; but it is actually a living organism. I get to turn this pile and make it look neat from time to time; I enjoy watching these materials steam as they generate their own heat and decompose. The material becomes finer and finer until it is sort of like dirt. Sounds sort of biblical doesn’t it? 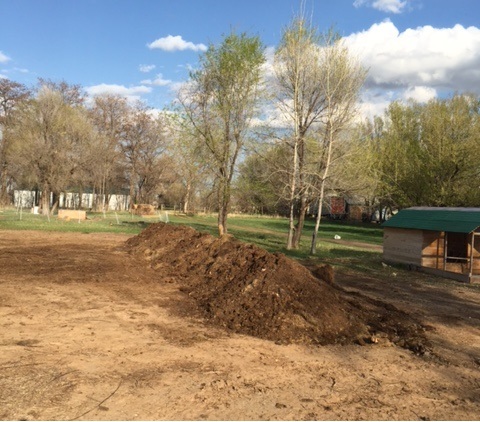 Then in the spring, this pile of wonder is ready to be applied (spread) over the newly tilled gardens where it catapults growth. This pile of wonder is the elixir of life. Think of it, what was once discarded, and in most households is thrown away, becomes a source for new life and makes the new life a much richer product. Perhaps sometimes in our weakness or just down right stooper, we ponder our current value and question our contribution. For those who are aging and wonder their relevance, it’s not an easy transition to prepare for retirement or even a different phase of life, job, career, or relationship. My advice, remember the “pile of wonder” and realize that underneath the surface a powerful change is occurring; It’s not “rot” or a pile of you know what—-no there is magic happening and when the day that magic is released, BOOM new life begins. There are many other analogies I conjure up as relates to my compost pile; I am actually smiling now as I ponder that which I ought not to put in print. In any event, know you are never beyond rebirth. You are about as relevant as you make yourself, and even in life’s transitions, there is always hope for a brighter day—even one in which the composition of who you are or have been meets the soil that will produce who you are about to become.